... and the blue moon is glowing brightly at Dorsett Grand Subang from August 13, 2017. Yes, Chef Alex Chan of its The Emperor Restaurant will be offering, among the popular classics, a Blue Mooncake, a snow-skin creation tinged with the bright hues of bunga telang, also known as Butterfly Pea (Clitoria ternatea). The Blue Mooncake stuffing is pandan lotus paste with single yolk (RM30) and no artificial colouring is used to make the pastry. The other snow-skin variety is red bean paste (RM28). For those who prefer baked mooncakes, there are the traditional white lotus paste and red bean paste. But I am more excited over the three new healthy varieties: Six Coarse Grains Paste (RM28), Coconut Pandan Paste with Single Yolk (RM30) and Green Tea Paste with Single Yolk (RM30). The Six Coarse Grains Paste combines walnut, melon seeds, pumpkin seeds, rolled oats, black sesame seeds and sunflower seeds for an Omega-3 rich treat. It’s also low in sugar. Coconut and pandan are natural bedfellows, so to have both in the same mooncake will give the usual pandan paste a flavour boost. The combination is also said to relieve indigestion and flatulence as well as increase good cholesterol. Meanwhile, green tea is known to be high in Vitamin C and other anti-oxidants that help fight free radicals. 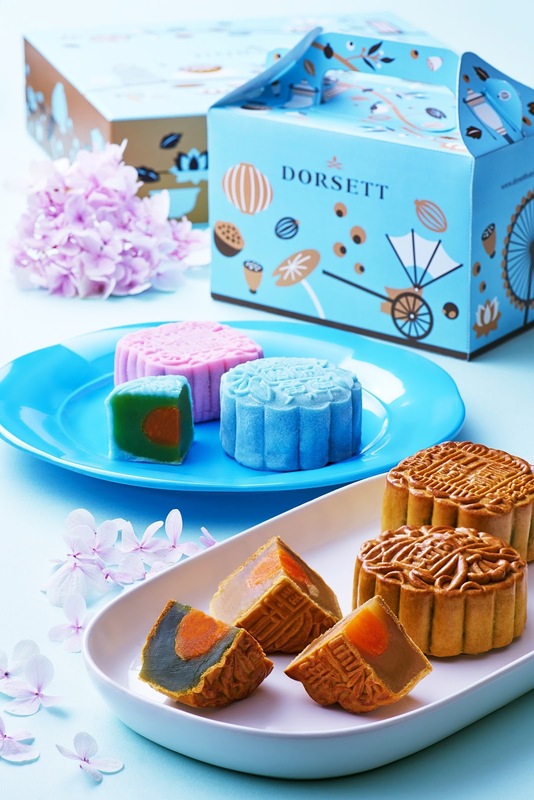 The mooncakes are on sale from Aug 13 to Oct 4, 2017, at Dorsett Grand Subang, Dorsett Kuala Lumpur, Dorsett Putrajaya, Silka Maytower KL and Silka Cheras. There’s a 30% discount for purchases of 30 boxes and above. Purchases made before Sept 9 with full payment or orders with 50% deposit are entitled to 20% discount. Prices quoted inclusive of 10% service charge and 6% GST. call 603-5031 6060, extension 1954.